You keep hearing how much better loose leaf tea tastes than tea from a bag and you want to make the switch. Not only that. It costs a lot less, too. The problem: brewing loose tea seems way too complicated. Everyone you ask and every site you read gives different information. One says to steep the leaves in boiling water for two minutes, the other says to use 80° water for one. And all you want is a cup of tea. What you can do is give good starting points that will work well enough for any tea. Whenever you buy new tea, use these starting points for the first brew and adjust from there. If you feel your tea is too strong, reduce the brewing time (or use fewer leaves). If it is too weak, increase the steeping time (or increase the amount of leaves). For the amount of leaves, use about 1 teaspoon per tea cup (~2 grams per 100 ml of water). So, if you’re using a pot that holds 4 cups, use 4 teaspoons. Note: a tisane is any type of tea that isn’t made from the actual tea plant. Basically, all herbal teas. For flavored teas, use the instructions for the underlying tea leaves. For example, if your flavored tea uses black tea leaves, follow the instructions for black tea. Again, there is too much information and most of it is unnecessary. I am guilty of this as well. 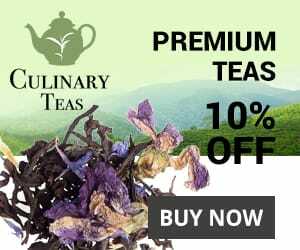 If you read the individual tea pages on this site, you’ll see recommendations for brewing vessels like the gaiwan or the yixing. Traditional brewing vessels like these look great and are fun to use, but the truth is, tea made in one of these does not taste any different than tea made in a regular glass or ceramic teapot. Furthermore, they have drawbacks that simpler pots don’t. The yixing (and other clay pots) can’t be cleaned. The more you brew, the more residue from the tea seeps into the ceramic. This is considered a good thing by many connoisseurs, but it also means that you should only ever brew one type of tea in your teapot. If you use it for oolong tea, you should only ever brew oolong tea in that pot. If you want to drink a different type of tea, you’ll need a different teapot. Personally, I have one of these teapots and I only use it for oolong tea. I also have a regular glass teapot that I use for any other type of tea. I would recommend anyone get a simple brewing vessel like a glass or ceramic pot or mug, whether you have a traditional pot or not. Or you can just get a complete tea set, which always includes a tea pot or gaiwan. You have a number of options, depending on your needs and what you already have. I use a glass teapot with an infuser. Ceramic works well, too, but I prefer glass. 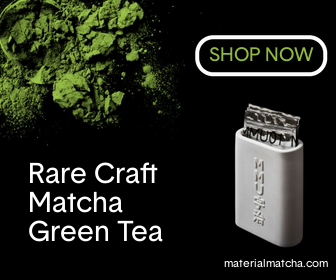 This allows you to see the color of the tea and to gauge the brewing time by that. I generally do this, rather than using a stopwatch or timer. The main drawback of a teapot is the size. If you are only brewing tea for one, it is probably too big. You have to remember that loose leaf tea leaves can (and should) be steeped several times. I generally get 3 to 4 infusions from my leaves. This means 3-4 teapots of tea per day. Yes, I drink a lot of tea. Most people won’t need that much, which brings me to the next type of brewing vessel. If you only prepare tea for yourself, a tea mug with an infuser is a great option. This way you don’t have to brew a large pot each time. Since you get 3 to 4 infusions out of most tea leaves, this means you get 3 to 4 mugs of tea per day. If you’re the only one drinking it, this makes much more sense than having 3 to 4 large teapots of tea. If you already have a mug, as most of us do, then you can save money and buy only the infuser. There are a bunch of different types available, like stainless steel basket and ball infusers, mesh basket infusers or novelty ones shaped like animals or cartoon characters or pretty much anything else you can think of. You can use them with any standard mug (or just a regular glass). There are also larger ones that work with regular teapots. If you already have a pot that did not come with an infuser, you can just buy the infuser on its own and use it with your existing pot. If you’re looking to save money, getting just the infuser is the cheapest way to go. Finally, many people, myself included, like to have tea on the go. For this, you would want a travel mug with an infuser. What sets these mugs apart from the regular ones is a lid that seals shut. You can take the mug with you and avoid spilling your tea. I use a mug like this at work, but they are also great for the morning commute. They’re very similar to a thermos bottle, but with the addition of an infuser. Brewing loose leaf tea can seem complicated and the more you read about it, the more complicated it gets. But when you remove all the unnecessary information, it is actually pretty simple. Just use the temperature and the steeping time for your type of tea from the table above for your first brew and make adjustments from there. For the brewing vessel, the main requirement is the infuser. Personally, I like to use a transparent vessel (I prefer glass over plastic), so I can see the color of my tea. That’s all you need. Now you’re ready to go and enjoy your loose leaf tea. It really is a lot better than drinking tea brewed from teabags and once you try it, you won’t want to go back.